Sunday 9 October 2016 dawned clear and exceptionally calm with the just the lightest of east wind. We spent the morning birding close to home at Hillwell notching up a few Yellow-browed Warblers, several Goldcrests and a noticeable increase in numbers of Robins and Bramblings. Clearly a few new birds had arrived but pickings were thin. We looked for the Ortolan which had been found by Hugh on Friday but were distracted by news of a pod of Orcas off Sumburgh Head and decided to go and pin them down so that fellow Shetland Wildlife guide David Fairhurst and our Autumn birding group could hopefully catch up with these very special creatures. We located the Orcas west of Scatness and David's group were soon enjoying good views. News then broke of a possible Pallas's Grasshopper Warbler not far from where we had been birding in the morning so we decided to go and see the bird and found Simon Mitchell waiting for us. After several views in flight, all present established it was a 'Gropper' but nevertheless it was a good shout from Simon to get more eyes on the bird and nail the identification. Locustellas giving poor views in large Shetland iris beds are not easy. 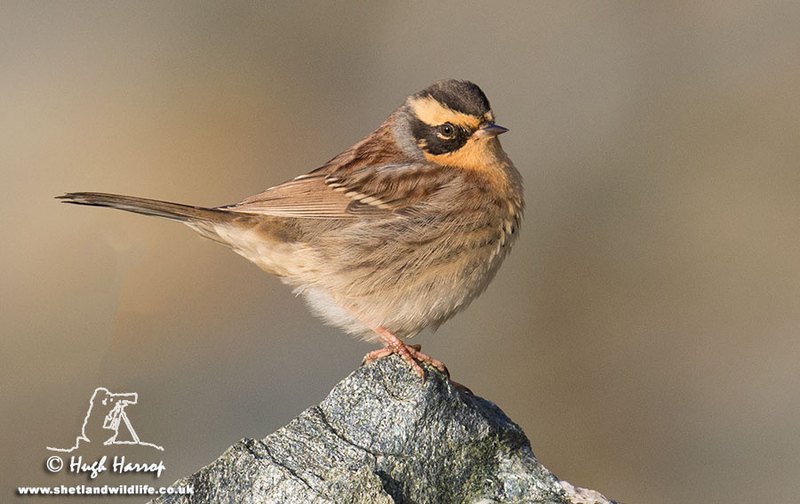 With very little news of birds elsewhere we decided to return to Sumburgh Head to search for more cetaceans which proved fruitless, so thought we'd head up to the higher points of the south Mainland to look for Snow and Lapland Buntings. Mossy Hill is a favourite spot of ours for Snow Buntings at this time of year so we drove to the summit before continuing north. 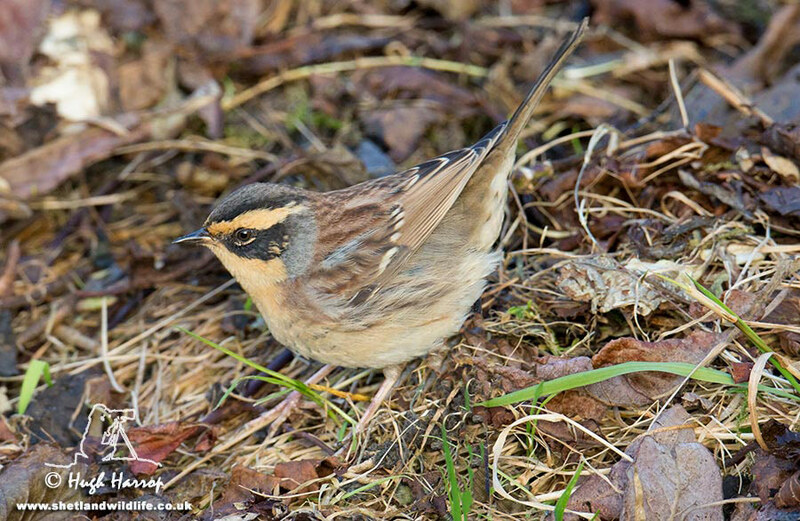 A movement ten metres in front of Judd caught his eye and upon raising his binoculars, he was greeted by the unbelievable sight of what was obviously a rare accentor! As the bird turned face-on to Judd, he could see that the throat was clearly unmarked - HOLY MOLY - or words that the effect. 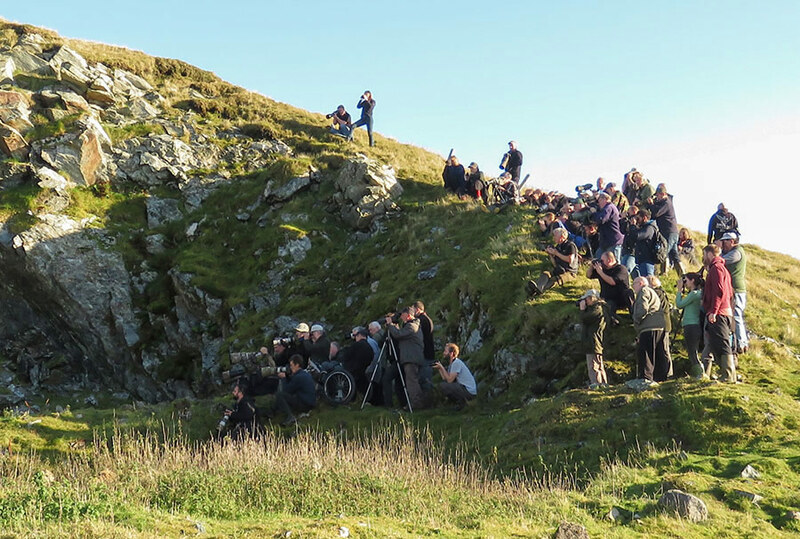 Retreating several metres back towards Hugh to move out of the bird's line of sight, Judd then put Usain Bolt to shame and sprinted the twenty or so metres back to the car in what can only be described as a blind state of panic: "I've just found a rare accentor and I think it's a Siberian!". This comment was greeted by a temporarily incredulous Hugh until the look on Judd's face and his eagerness to grab a camera were more than apparent! 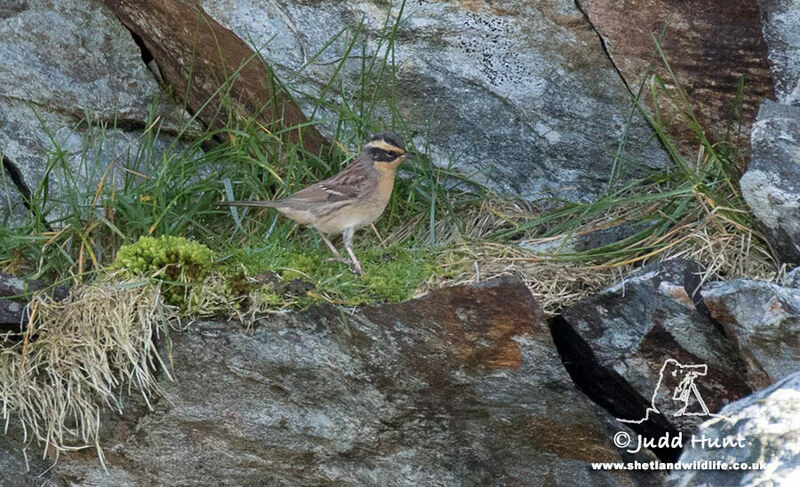 As we stood by the road, the bird popped up high on the quarry rocks in full view around 50 metres from us. WOW! Judd fired away on the camera to ensure we got some images and Hugh watched the bird through binoculars. The bird continued to flit around actively and at one stage worryingly reached the highest point of the quarry before dropping back in out of sight from where we were standing. A quick check of the images taken compared to the illustration on the Collins iphone 'app' (the only 'literature' we had with us!) confirmed that the throat was unmarked, the supercilium was rich buff and the mantle was full of beautiful rich tones. 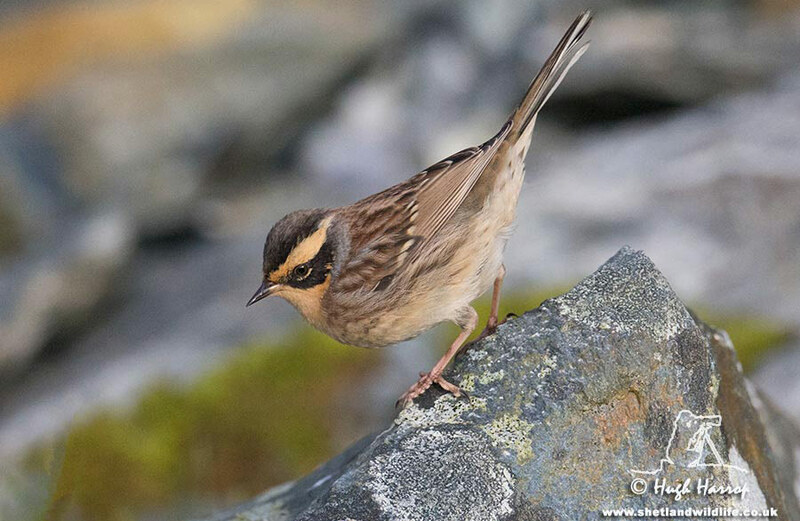 Gulp - we had just been watching a stunning Siberian Accentor - the first for Britain! At this point the enormity of the event became a reality. Hands were trembling, hearts were thumping and brains were fizzing. We were understandably in total disarray but soon composed ourselves, walked slowly back in to the quarry and anxiously waited for the bird to reappear. We soon picked it up right in front of us feeding in a rank stretch of grass cuttings no more than ten metres away. It gave amazing views in the warm sunshine and appeared totally unperturbed by our presence. We continued watching and photographing the bird for around five more minutes and then reached for our mobiles to get news out. Problem - no signal on the Vodafone network! Fortunately Hugh carries a spare emergency mobile on the EE network and on turning on the phone we found we had contact with the outside world. 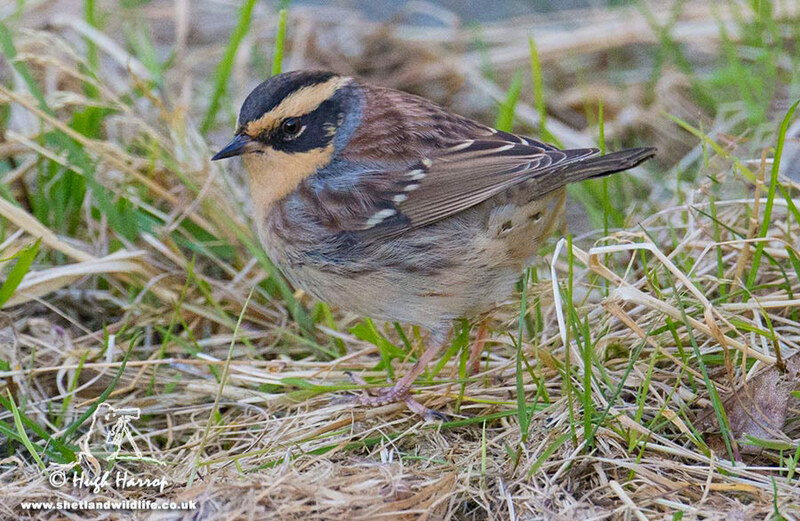 The news was put out to David and the Shetland Wildlife birding group, the local Shetland grapevine and we called in the news with detailed directions to this pretty obscure site to Will Soar at Rare Bird Alert. We continued to watch and photograph the bird and it took just ten minutes for the first birders to arrive. Numbers gradually increased and by the end of the day, over 100 birders had enjoyed stunning views of this beautiful first for Britain. With over 20 years of experience in arranging and guiding holidays in Shetland, many aspects of their business is continually evolving but one feature remains the same - their unmatched attention to their traveller's needs - the first secret of their continued growth and success. 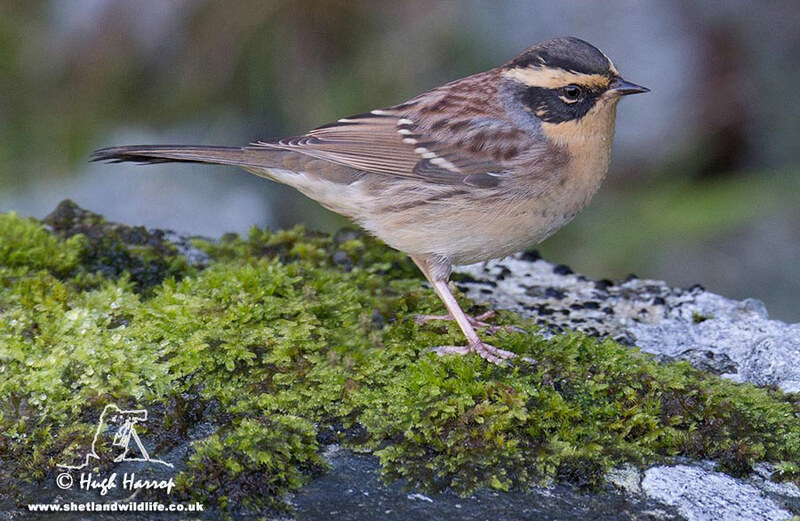 Shetland Wildlife are extremely proud of their reputation for providing the very best guides - it is their unique knowledge, experience and leadership that help to make your holiday the best. They follow very strong eco-tourism principles and utilise local folk and establishments as much as possible, and like to keep groups small. 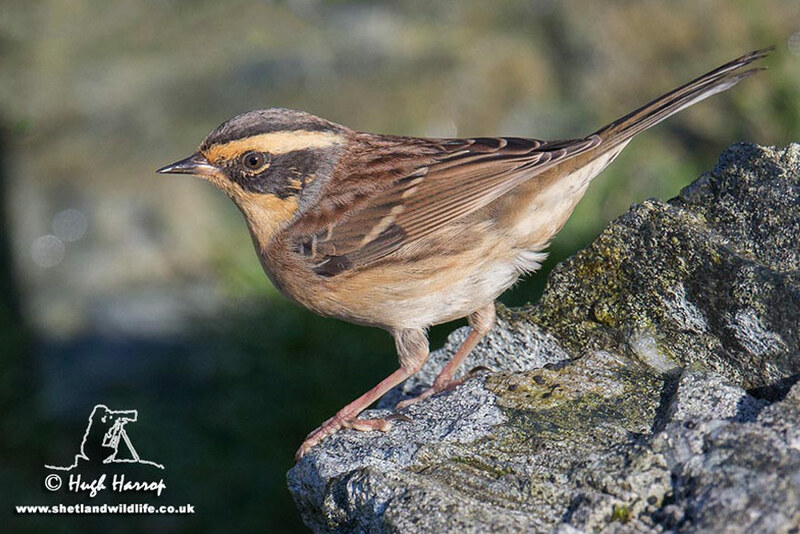 Shetland Wildlife believe a small group is essential, not only to benefit the wildlife being observed, but it also means that they can guarantee more intimate wildlife encounters that are simply not possible with larger groups. In October 1999 they were awarded the Tourism and the Environment Scottish Thistle Award. The Scottish Tourist Board's 'Thistle' is firmly recognised as the country's most prestigious tourism award and the Tourism and the Environment category pays tribute to businesses that promote a better understanding of Scotland's natural heritage, while adopting environmentally friendly practices. Do you have a birding story you would like to share? 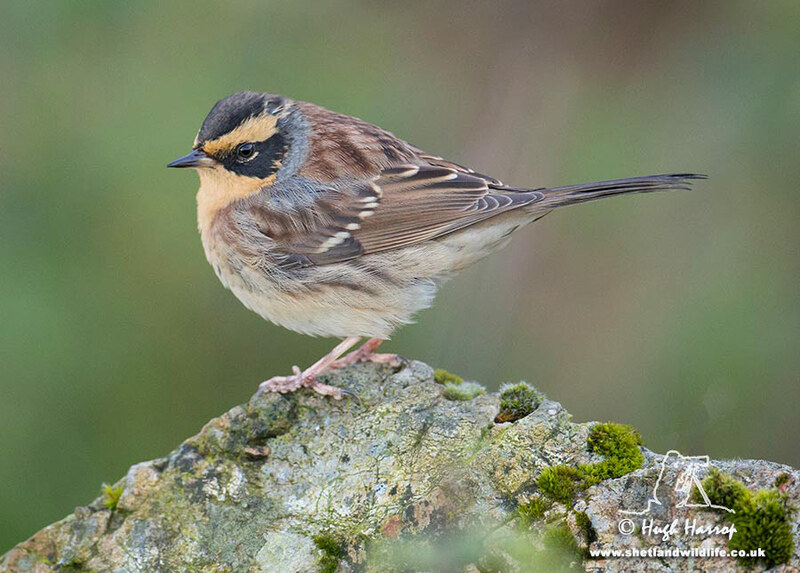 From foreign birding trips to your local patch, finders accounts and more, we would love to hear from you. 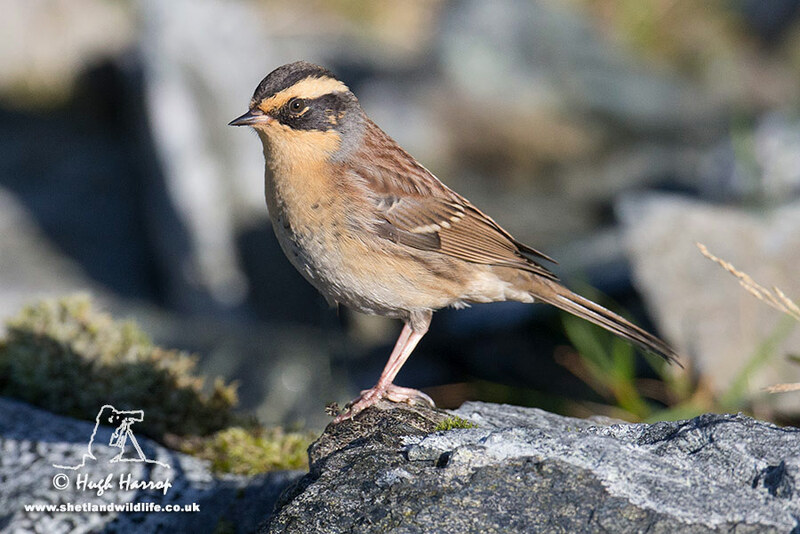 All our articles are free for anyone to view and we include them in our weekly newsletter which goes out to thousands of birders every Wednesday. We also share them on our Twitter and Facebook pages, making sure your article will get read by as many people as possible. If you would like to write an article please for us please get in touch with your ideas, thank you.